After getting student loans to pay for college, you may be inclined to just forget about it until after you graduate. But there are some things you need to know to better understand your loan and payment terms. Read on to get some helpful dos and don’ts tips. Schools offering Finance degrees can also be found in these popular choices. As a first-time student, you’re probably stressing about the high cost of tuitions. When you’re just about to lose your mind, loans begin to emerge with the promise of a stress-free education – at least for now. While it’s easy to just sign the papers and worry what these promissory notes mean later, you should keep some key tips in mind. The following Dos may freak you out a little, but the truth is that college is expensive. Definitely apply for as many loans as you need – and no more. Financial aid typically includes loans in your package, and all you’ll need to do is sign the paperwork. But if it’s necessary, take out the loan without fear. Pay interest on any unsubsidized Stafford loans that you may have. Interest accrues while you’re still in college and you’ll have the option to pay it off during school or let it add on at the end. If you can afford to, it’ll be worth paying it off a little at a time. Otherwise, once you graduate, that interest will begin to accumulate interest as well, which is called compound interest. Ask questions! If you’re looking at your financial aid statement and you’re unsure of what the loans are, feel free to ask. That’s why there’s a financial aid office open to students. Double check which loans are subsidized and which are unsubsidized. See if you can receive more subsidized loans so that you’ll have less interest adding up while you’re still in school. This may just be a matter of speaking with your financial aid clerk. After you graduate, take the opportunity to pay down the principle of your loans while you’re still in deferment. 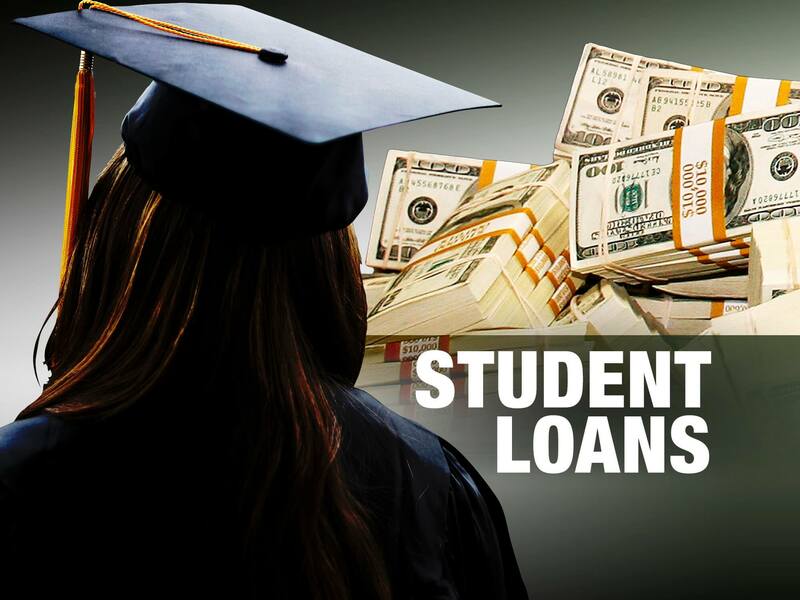 Typically, loans are on deferment for six months after your graduation. This is so you have time to find a job. Don’t rely on your parents to take out a loan. They’ve raised you your entire life and have the debt of their own. Do you really want to force them to take out Direct PLUS loans just to cover the few hundred dollars that your financial aid didn’t? Some loans give you more money than what you owe in tuition. These are called refunds. Don’t take out loans that are in excess of your tuition. Try to meet other college costs by using your savings or setting up a payment plan. Loans that provide refunds can only cause temptation. If you do get a refund, don’t spend it on nonsense. This money is supposed to be used for meal plans, supplies or books. When you receive that check, don’t be foolish and use it on personal things. Sure, you may think a new laptop is important for school but is your other computer really that old? Definitely don’t use it to go on spring break or get groceries, because you’ll be paying interest on it for at least the next 20 years! Don’t assume that everything in your paperwork is what it should be. Make sure to read over all forms you receive. Most promissory notes explain what you must pay back and when you must begin to pay it. Be sure that you agree to all terms before signing anything! Don’t take too much time off from school. If you choose to take a semester off, you’ll be fine, but if you take off more than that, banks will begin to send you bills for your loans. To them, you’ve given up on college and will not be returning. Let them know of your plans to see if they can set up a deferment for however long your sabbatical will be.